m a y f i l e s . . .: 6 Good Reasons I had 0 posts this Week! Didn't the little white dresses turn out angelic? 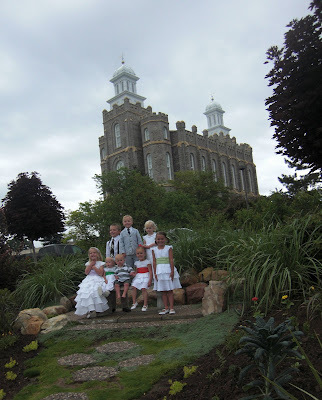 My sister and my children in front of the Logan temple. 2.Monica attends the Temple for the first time. 3.Brock and Amy and bless Daegen and are sealed as an eternal family unit in the temple. Now you see why I had zero time to blog this week. Yes, you were busy. But you did so many wonderful things! !